The site orientation is north-south so the units have the advantage of a seawards view and being perpendicular to the seasonal winds from the sea and vice versa, but the disadvantage of coping with the harsh western sunlight. 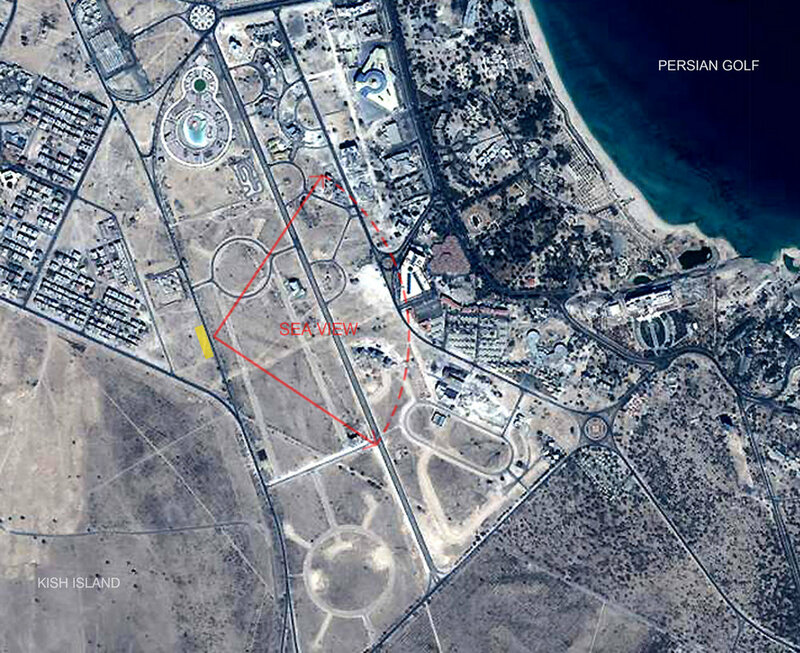 As Kish Island is undergoing development, the site’s context is a newly planned neighborhood called Phase 3 of Sadaf district. The empty spaces created between the masses (view corridors) and underneath the buildings (pilotis) maintain the physical and visual connection with the adjacent urban spaces, and providing interaction with the inner courtyard, as well as serving as air ducts to maximize air circulation around the building skin. 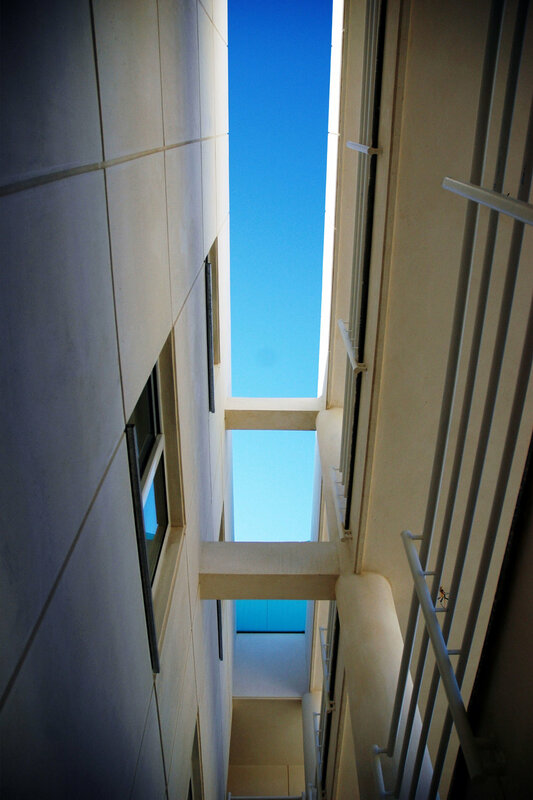 All the units have been designed in a way to have cross ventilation to minimize the humidity through natural air flow. Sense of place and attachment and spatial recognition have been achieved through the creation of discrete variations in the facade. As the building has a linear form due to the site’s measurement’s(that is the combination of five small plots),the street entrance has been located at the midpoint of the complex, which through two open staircases leads to the horizontal access routes ,which double act as brie de soleil’s to diffuse the harsh western sunlight. 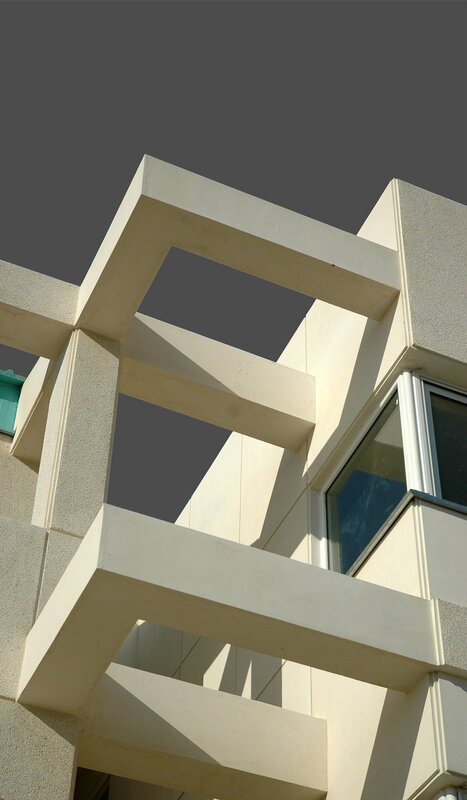 Due to Kish Island’s mission as a tourist attraction for Iranian’s, the residential units were designed in a way to accommodate short term use of the buyers. Because of construction constrains and lack of high quality craftsmanship on the island, the building details were kept simple as possible. Aesthetically, the building mass is simple, with the sloped roofs making a formal statement. Copyright 2019 Padiav Parth All Rights Reserved.